Injuries and physical inconveniences that can occur when out in the wilderness can easily ruin a nice camping trip. Don’t let a bee sting, poison ivy, or small cuts get in the way of your camping experience, come prepared! Listed below is a checklist of first aid supplies as well as possible scenarios and how to treat them. Although there are risks while camping, preparation will be on your side. Many first aid kids come prepacked with many of these supplies, but make sure you buy the items that they don’t include. 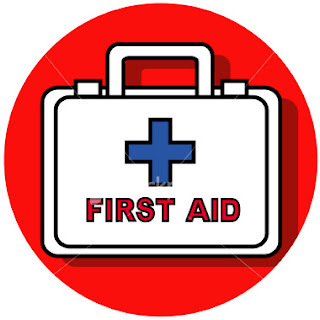 Also make sure that your first aid kit is restocked regularly and that there are enough supplies for multiple injuries. The wilderness is unpredictable, it’s better to have too many supplies than too little supplies. This is also a guideline to treat minor injuries, if any ailment becomes severe, seek medical attention regularly. 1. Scrape the stinger out using a knife edge or fingernail. Don’t squeeze the area, as this will only inject more venom. 2. Apply a cold compress or take antihistamines to reduce pain and swelling. 3. If you experience any allergic reaction with bee stings, including rash, hives or swelling of the tongue or throat, seek medical attention immediately. 1. Spray the tick with tick repellent spray or dab with kerosene. 2. Using tweezers, grasp the tick as close to the skin as possible and pull upwards, removing as much of the tick as possible. 3. Treat the bite area with antiseptic and cover with a bandage. 4. Save the tick – if you experience any unusual rashes or symptoms in the following days, seek medical attention and have the tick tested. 1. If you notice bleeding, wash the injury and remove any debris. 2. Cover with a clean bandage and apply pressure to the area. 3. If the bleeding stops quickly, cover the wound with antiseptic cream and a clean bandage. 4. If the bleeding does not stop, apply additional bandages on top of the original, maintain pressure and elevate the affected area above the heart. Seek medical attention if the bleeding is severe. If symptoms don’t go away, or if you begin to sweat profusely, feel headachy or confused, seek medical attention – you may have more serious heat exhaustion or heat stroke.